More than 60 Roman Catholic theologians, priests and academics have accused Pope Francis of spreading heresy. The group sent a letter of filial correction to the pope and outlined seven heresies they believe he has spread. None of the authors of the letter is a cardinal, the highest-ranking member of the group is a bishop whose society isn’t a legal church entity. Those heresies all relate to Francis’ statements on divorce. 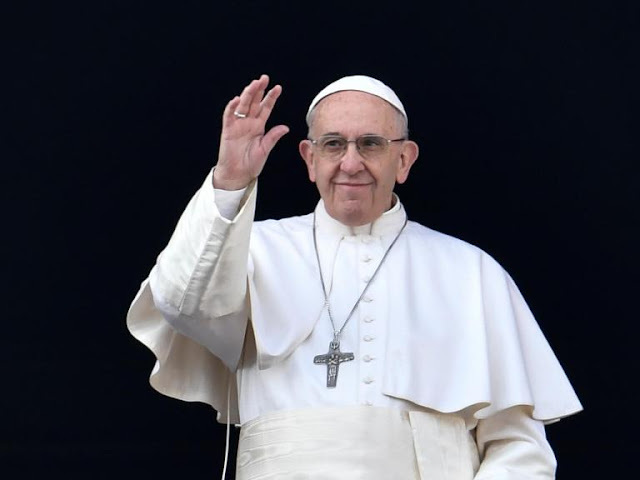 In 2016, the pope issued a document which made it possible for divorced and civilly remarried Catholics to participate in Holy Communion. That’s a major about-face for the Catholic Church, which traditionally views divorce as impossible. But Francis has been leaning that way for awhile. In 2015, he said the church needs to be more welcoming toward divorced people. The pope’s views on divorce, remarriage and the Eucharist is also a major break from past popes. Both Pope Benedict XVI and Pope John Paul II’s statements on divorce were in line with the traditional Catholic view. Since Francis’ 2016 statement, some individual Catholic churches have implemented communion for divorced people in different ways. And the pope has tried to clarify his stance at the request of priests worldwide. He says on this issue, keeping mercy in mind is more important than the traditional legalistic views of the church.